Life doesn't slow down. That's one thing I've learned in my short 27 years. Marshall texted me Thursday night at work and said he missed me. I suggested he take the day off work Friday and we have a "family day." He decided to, which was so nice. The company Marsh works for right now gives him a nice amount of time off. He gets 3 weeks paid vacation right now, which will go up to 4 weeks once he hits his year mark in February, so it's not such a big deal to take a day off here and there. 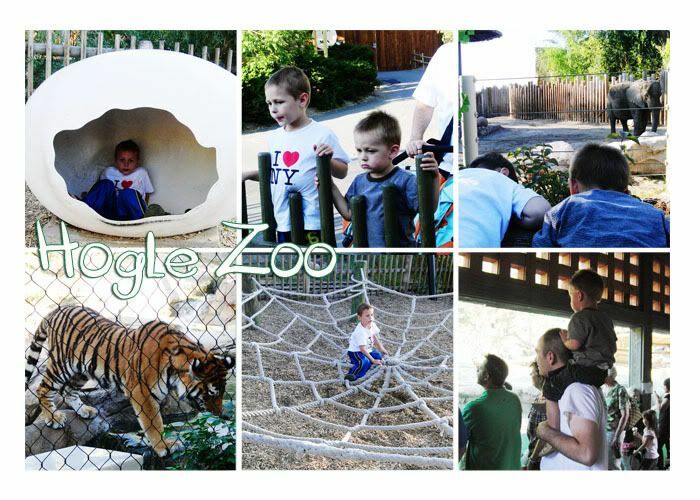 We decided to head up to Salt Lake to take the boys to the zoo. We stopped by the Gateway first so that we could go to the Mac store. Our computer has been acting funny and needs a new hard drive. We are going to take it elsewhere to have someone else do it for cheaper, but we both realize we shouldn't have let our warranty lapse. We're thinking about fixing the hard drive, selling the computer, and upgrading. It makes more sense to us to keep a newer computer with a warranty so that we don't ever have to have problems. We then got ice cream at Ben & Jerry's while we were there, and let the boys play in the fountains. I know it's October, but it's still in the 80's here, so it was plenty warm for the boys. Next, we headed off to Hogle Zoo. A little overpriced, yes? Something yearly we need to do with our kids, yes. I will say the highlight was NOT when the gorilla puked and proceeded to eat it. I know that was more info than you wanted to know, but it WAS disgusting. The tigers were really fun and playful while we were there and the boys had tons of fun running around and seeing all of the animals. We ended the night with dinner at Cafe Rio. Yum! It was a fabulous day, made me thankful for my little family, and also made me wish we could have days like this more often! Glad you had a wonderful day. It is always fun to do things with the family and the weather has been perfect. Its like August and not October. You needed a break! I agree, the zoo is a wee bit over priced. We bought a pass last year because it made more sense, but now that we live out here we've just let it lapse. What a wonderful company Marshall works for to give him so much vacation time! sounds like a perfect day... minus gorilla vomit. The gorilla vomit... LOL... and yucky at the same time. It's so nice to just take a day and not worry about work, laundry, studying etc. Sounds like it was just what you needed.